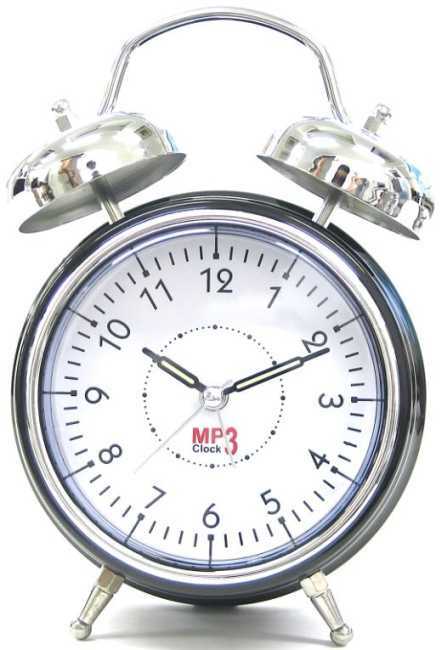 We use Alarm clocks every day in order to make sure we wake up on time, get about our business in an orderly fashion and start the day with an extremely annoying sound beating in our heads. While Alarm clocks used to be a simple product that shows the time and rings when scheduled, the product has evolved immensely to easily become an innovative phenomena, with all the bells and whistles you could think of. 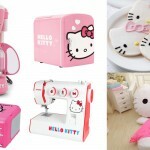 Here we put together a list of Weird and Cool Alarm clocks which don't only wake you up but also make you work for it. 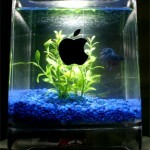 Here is an alarm clock that requires some effort top turn off. 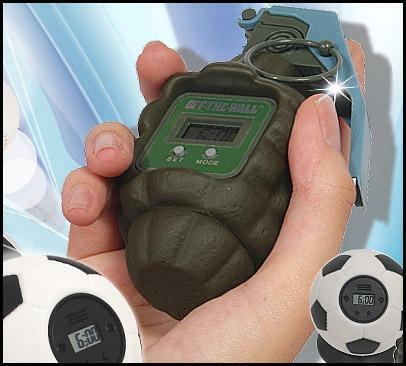 As this clock goes off, you must throw it away like a true grenade in order for it to stop the madness. 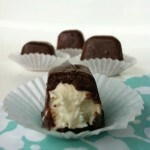 This could truly be what people will be looking forward to when waking up groggy and tired. The only problem is...it won't get you out of bed. You want something that will make sure to get you out of bed? 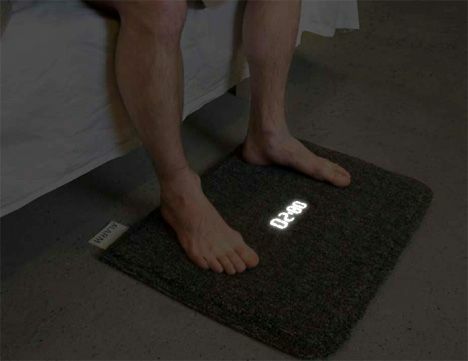 This concept is a carpet alarm clock that will continue to ring until you step on it with your own two feet. Well, if you have kids, you could always scream at them to come into your bedroom and step on it for you...but that would seem a little more difficult. 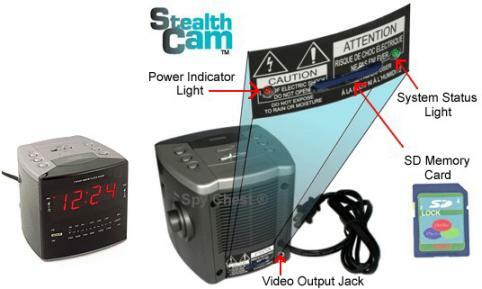 It may look like a regular Alarm Clock you could purchase at Wal-Mart, but this unique alarm clock has a built in mini spy cam which could record video while you sleep (or away from home). 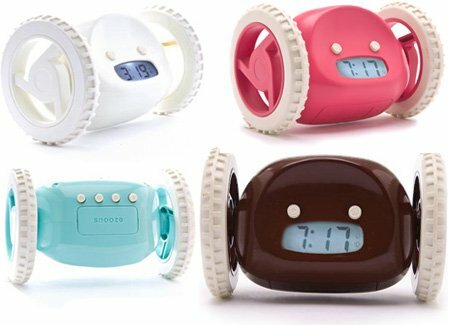 Some paranoid individuals will see this clock as the ultimate product to spy on their children, significant others or even their best friends, but beware...waking up is still up to them. This must be the best and cruelest way to get exercise...to battle with your alarm clock. 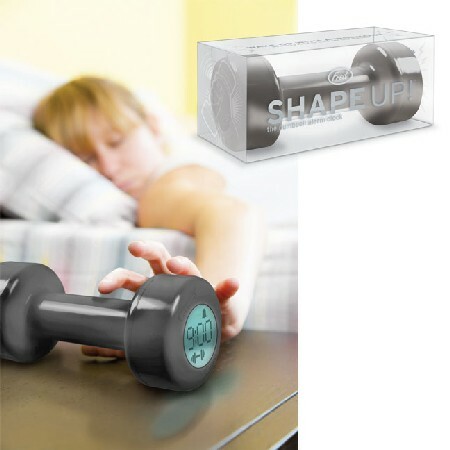 A great and cool alarm clock that requires you to perform a predetermined amount of reps with these dumbbells in order to turn the ringing off and get back to sleep - sounds like torture to me. This alarm clock may wake you up feeling that you being chased after last night drinking habits. 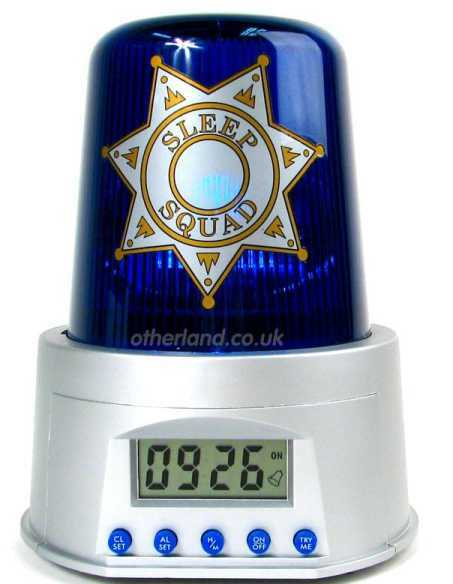 The Police siren will ring loud and the light will revolve in the scary blue lights that will push you out of bed so quickly and definitely get you scared right in the morning. A cool pillow and alarm clock concept which combines the two in hopes to provide a comfortable sleeping and waking up regime. 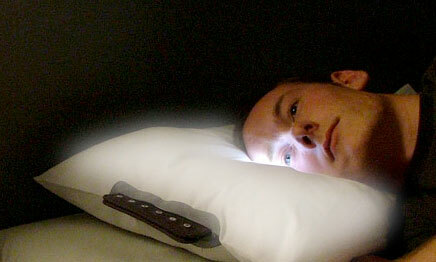 As the alarm clock goes off, the pillow slowly lights up and becomes brighter and brighter, in order to slowly and effectively wake you up from your restful sleep. 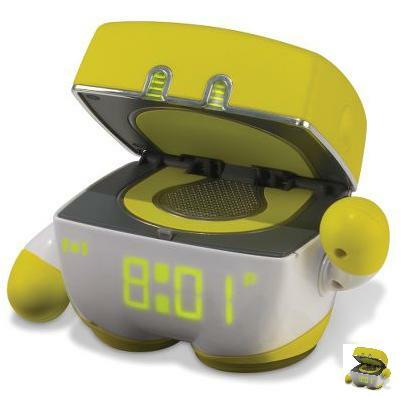 Just like kids get when they don't get their wishes, this alarm clock goes into tantrum unless you wake up out of bed. Within a minute of the set wake up time, it will start to glow. At the scheduled time it will begin to ring and taps its arms. But if you think twice before actually pressing snooze, it will go in to a tantrum of rings along with pounding its fists and give you a hell of a headache when you wake up. This means...listen to your kids and wake up when you said you will. 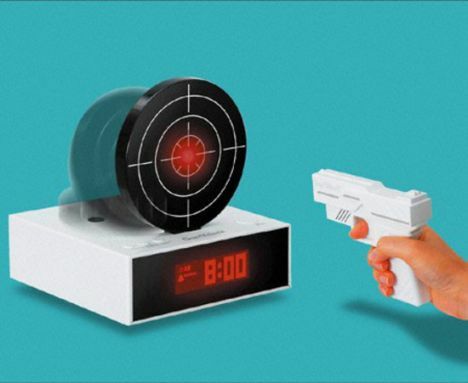 Your aim better be good when you wake up to this alarm clock. This clock can be set that when the alarm rings, you do not only have to shoot the target but repeat so an additional four times in order to make it stop. If you are waking up with a hangover, you will probably want to shoot yourself. 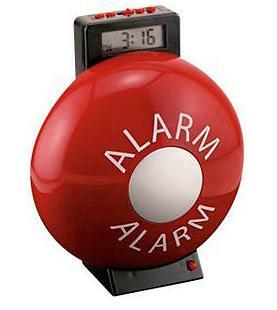 Don't worry, this alarm clock doesn't require you to solve it in order for it to stop ringing. 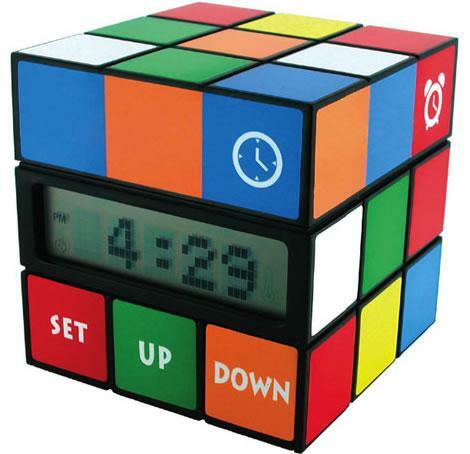 Even the best Cube solvers in the world would take a little longer in the morning, and besides..having to wait 15 seconds with an alarm going off is way too long. This cube is simply made to look like the popular logic game we could never solve and provide some extra color in your bedroom. 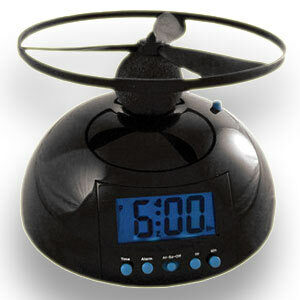 This must be the most powerful alarm clock that bounces your bed up and down when the alarm goes off. 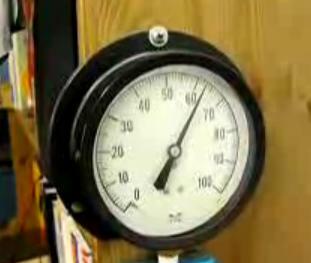 If you don't think this alarm clock could wake you up, just watch the video and realize the bounces it could deliver. 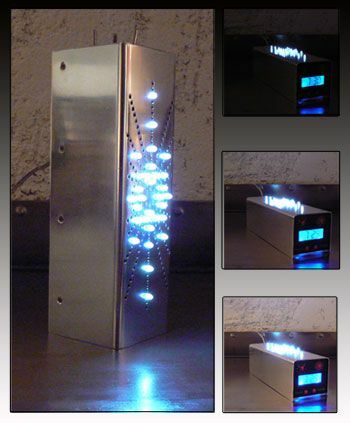 The Dawn clock hopes to wake you up as with the light off day but with bright LEDs increasing on and on. This cool version will go off at your preferred scheduled time and slowly increase its brightness and the number of lights shining until it extreme brightness is shown. If you think that won't wake you up...in the end, it will ring an alarm so to keep you from getting a sun burn in your own bedroom. Clocky is a cool looking alarm clock that doesn't only ring when scheduled but will jump off the nightstand and require you to get up in order to turn off. Yes, it is truly annoying, but it will get you out of bed in the morning...unless you learn to just continue and sleep with the buzzer. You may be a person that could easily get out of bed if you had the right kind of sounds, music or words to inspire such miracles. And this is exactly what this vintage alarm clock hopes to do by allowing you to customize the rings with your own preferred sounds. For some people it may be birds chirps, others the rooster and for sadistic folks, they could always record their Mother in Law's voice and that will surely get them out of bed...but that also adds panic right in the morning. 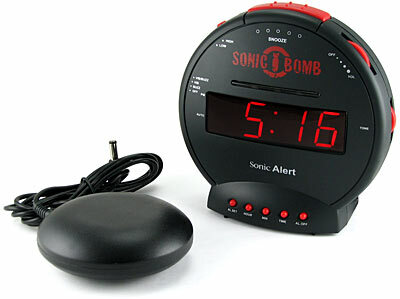 If you want loud...well you got loud with the Sonic Boom alarm clock. Not named after Street Fighter's Guile Sonic Boom move, this clock will go up to a maximum loudness of 113 decibels which is higher than the 100 decibels of a jackhammer. Bottom line...it is loud, so it will wake you up. Some of us have an automatic pilot go off when the alarm clock rings which in turn makes us simply hit the snooze button every 9 minutes for a series of 5 or 6 rings. It may work for some but more than a few end up waking up an hour later, not feeling better and worst yet...late for whatever they had to wake up to. 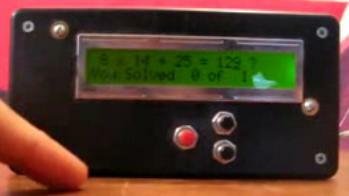 This is a cool alarm clock diy project that requires you to solve Math calculation in order to turn off the ring. You could make it that five problems are shown one after the other, so luck could not save you. If you want the entire family to wake up at the same time, then this fire alarm is for you. Just like a true Fire alarm, this clock will ring off blasting sirens and will wake you off scared that your house is truly on fire. 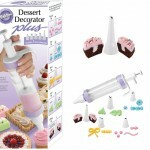 Are you a person who is looking for challenges just as you wake up? This alarm clock won't just wake you up, but its top will fly away and will not stop the ringing until it is back in its place. Not only is this completely sadistic, but imagine of it flies out of your room, downstairs and right out the window! It looks like your Nightmare just became a reality.